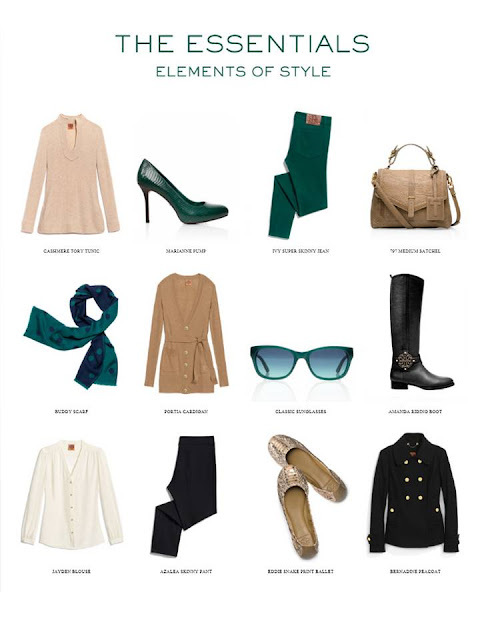 This beautiful arrangement of fall essentials greeted me in my inbox this morning. Once again Tory Burch hits it out of the park. I have the boots, but now I need the green jeans too! Are you looking for a cheap face cleanser and new beauty tool to add to your beauty regime? Look no more. 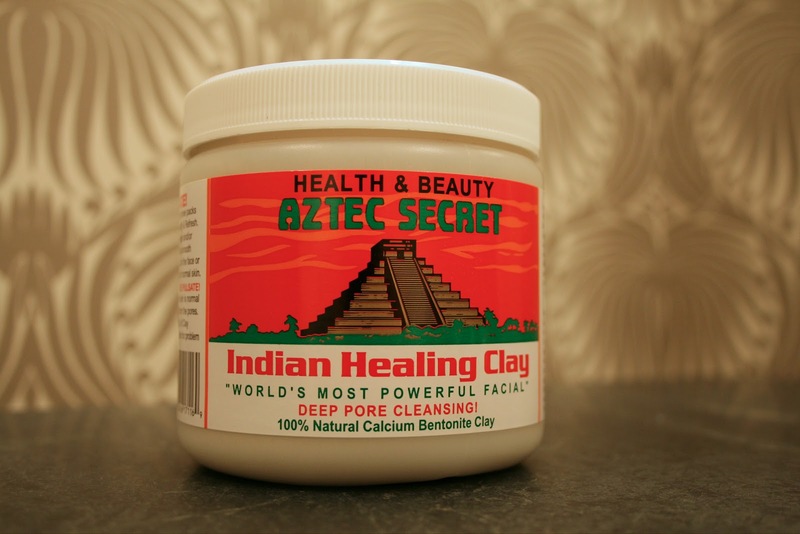 You need to try Aztec Secret natural clay mask. I first heard of this gem via Sheridan French and her praises for the product peaked my curiosity. After some research, turns out this stuff is legit and amazing for only $7. I bought mine at Whole Foods, but you can order yours here. As it says on the jar, you can feel your face pulsate as the natural clay dries into a hard mask and stimulates circulation. 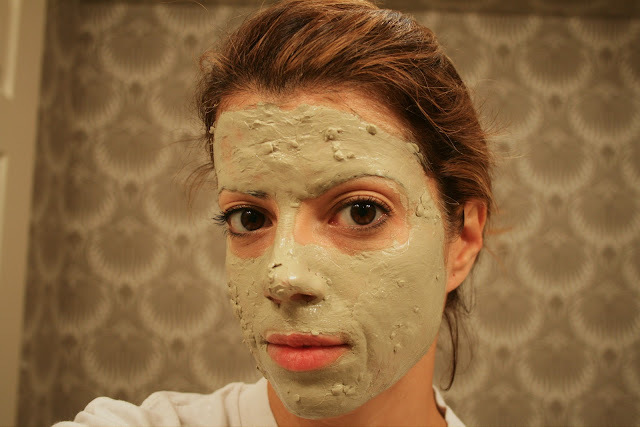 It leaves your face feeling soft, smooth, clean and shiney. Not an oily shine, but a glow of healthy skin and it clears out and minimizes pours. Here's what it looks like when you apply it. Thick and pastey. Here's the after. 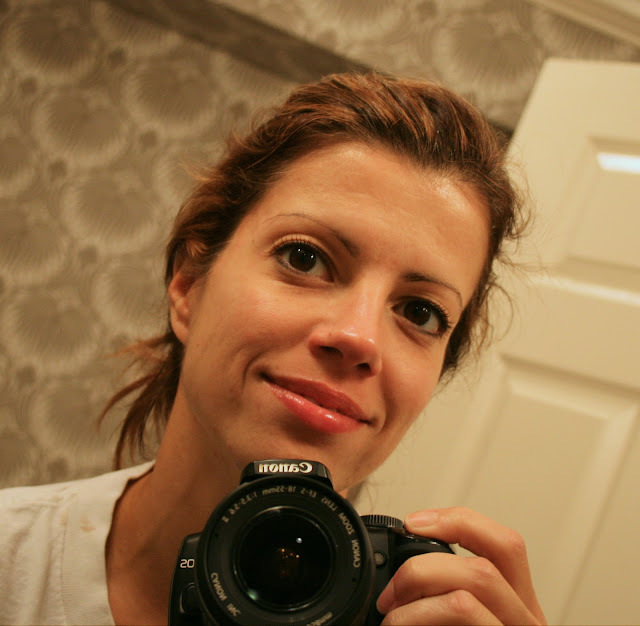 Eek, me with no makeup! But my face feels fresh and clean. I strongly recommend you try it, it does not disappoint. The jar will last you a long as a little goes a long way. I've got two installs tomorrow for friends so it should be a fun day! Here's a sneak peek. And a few of you have asked; I bought the Zara top at the store. They did not have it on the floor which I thought was odd, so always ask if they have any in stock. Friends, I am beside myself excited about my new lace peplum blouse from Zara. So many things about this top gives me goose bumps. First, it's three fall trends in one. How fabulous is that? Lace, check. Peplum, check. And red, check. Zara.com does not do this blouse justice. The lace detail is spot on and thick. 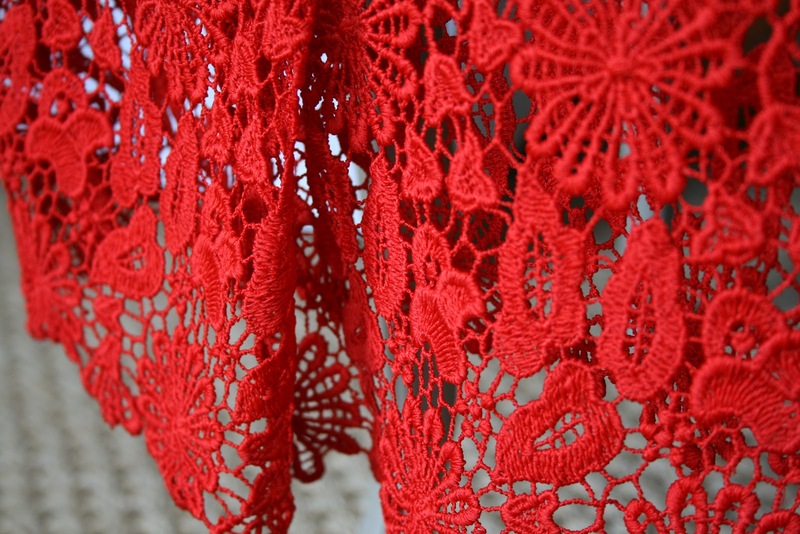 Not a cheap flimsy lace that sometimes can totally ruin an otherwise beautiful blouse. And the back has brass button details. Love! Of course, you know if Ms. Olivia P. is wearing it, it has to be fabulous. I love my new fabulous, amazing, redonkulous totally amazeballs blouse! Now where do I wear it to? Hey friends, have you been to Target lately? I was there for a few items and stumble upon this beauty. 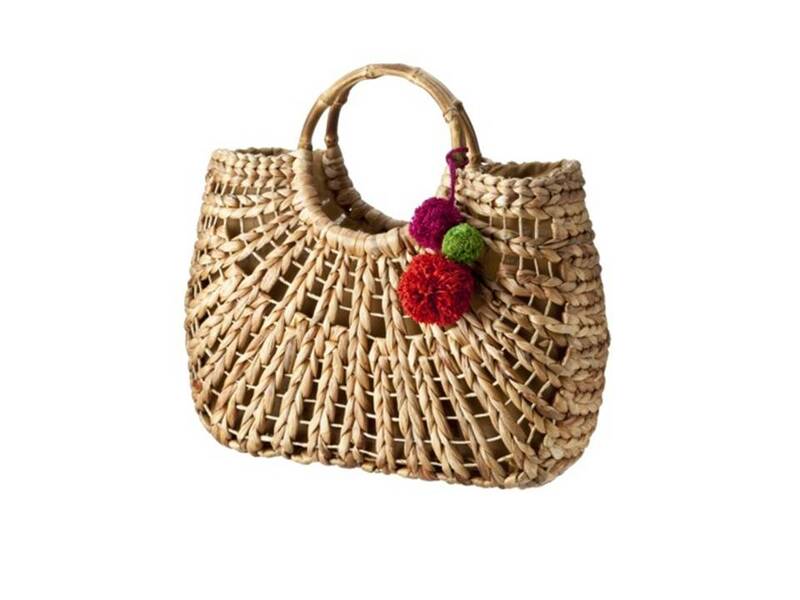 Instantly I thought of the Tory Burch pom pom tote she had earlier this spring/summer. Obviously the two bags aren't that similar, but it still has the cute straw pom pom accent and in my opinion a bit more subdued of a look. I'm a die hard Tory fan, but here I prefer good old Tarjay. Plus there's about a $300 savings, my checking account can breath a sigh of relief. I'm excited to share with you a few new purchases I've made recently. Oh, and as you can see I'm an Instagram Sistah so follow along if you'd like, vcwalton. First I just bought this precious love ring at Nordstroms and I was super excited when I spotted it. I love all different versions everyone has pinned like crazy, but not the prices. I'm all about investment jewelery, but not for small trendy trinkets. Only $28, thank you Nordi! Next, my fabulous new Loeffler Randall rain boots arrived. My friend Christi from P is for Party had these first and I couldn't get them out of my head. She has them in green, and I just purchased the taupe color. They were 50% off and are so comfortable and stylish. Please let it rain! Don't you just love the zipper up the back? 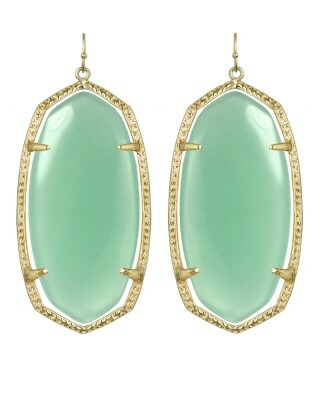 And lastly, I love my new minty/teal hued earrings from Kendra Scott. Also a wonderful purchase from Nordstroms. Here I am breaking them in and I couldn't resist a pic. I bought the smaller size since the large felt very heavy. Plus I'm a little weird about heavy earrings and paranoid my lobes will stretch. Check out my guest bath wallpaper. I love the Farrow and Ball Lotus paper in charleston gray. It was a total splurge that was worth every penny. That room makes me happy.